For my birthday, Christmas, or any other occasion, my sisters almost always include a new book. As you all know, I read on my Kindle quite a bit, but I also like to have a book – – a real book in hand at all times. My most recent book I received as a gift is called The Good Neighbor by Amy Sue Nathan. Now I haven’t read it yet, but I’m very excited about it. 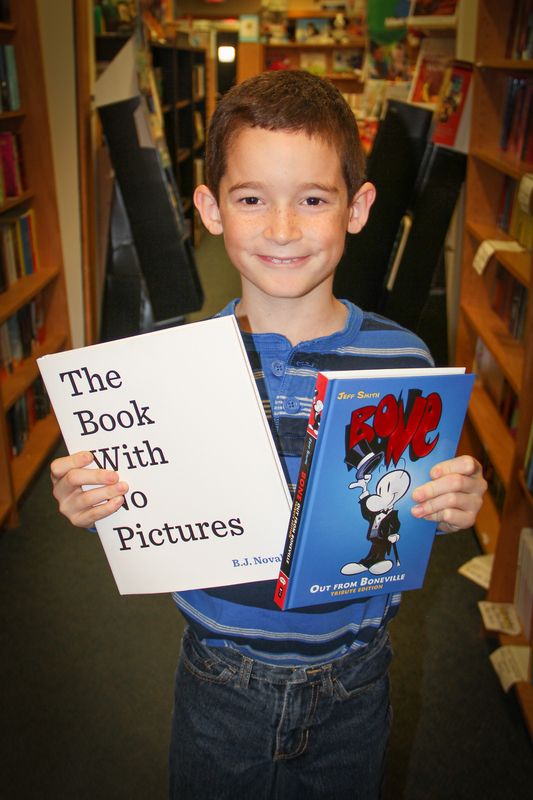 Here’s why… The book came from my very favorite bookstore EVER! The Book Stall in Winnetka, Illinois! It is a small, independent bookstore very close to my sister’s home in a little shopping center called Chestnut Court. Living in Dallas, I’m used to the giant Barnes and Noble bookstores that we have. 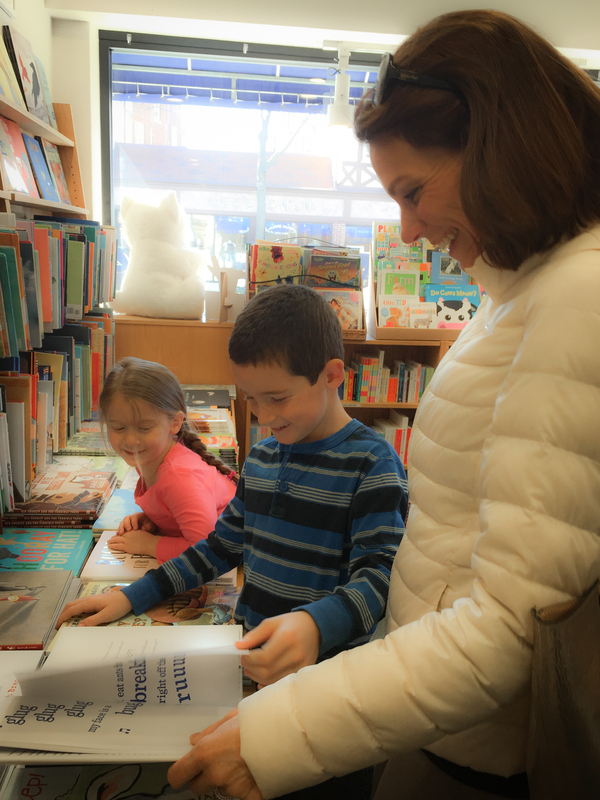 Don’t get me wrong – – I love a trip to Barnes and Noble, but there’s nothing quite as quaint and comforting for a book-lover as a small, independent bookstore. Remember the movie You’ve Got Mail, and the little independent book store called The Bookshop Around the Corner that Kathleen Kelly (played by Meg Ryan) owned and operated? Well…it’s just like that but better because it’s real – it’s not just in a movie!!! Independent bookstores are hard to find these days. Just like in the movie, The Bookshop Around the Corner put up a great fight against Joe Fox (played by Tom Hanks), and his giant bookstore chain called Fox Books, but lost the fight and Kathleen Kelly had to close her store. So when you come across an independent gem like The Book Stall, be sure you stop in and buy some books! You walk in The Book Stall, and the smell of books is wonderful! The shelves seemed to go on forever. We walked along the creaky floors and roamed through the shelves and shelves of books. You can pick all the books up, open them, read from them, and no one looks at you like you need to buy it first. No book was off limits or wrapped in plastic. 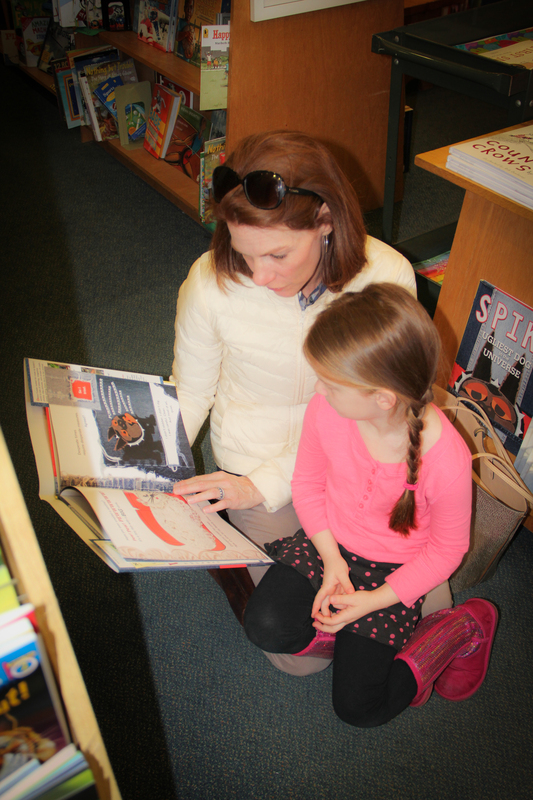 There are small tables placed around the store to stop and read, or like us, you can just drop to the floor right where you are, and read a book you’ve just pulled off the shelf. There’s one book we discovered at The Book Stall that I highly recommend if you have kids, or if you are a lover of children’s books. We were browsing the shelves and came across a book called The Book With No Pictures by B.J. Novak and were immediately drawn to it, because why would someone write a children’s book without pictures?? My kids and I were baffled by this concept, so my sister decided we had to read it. 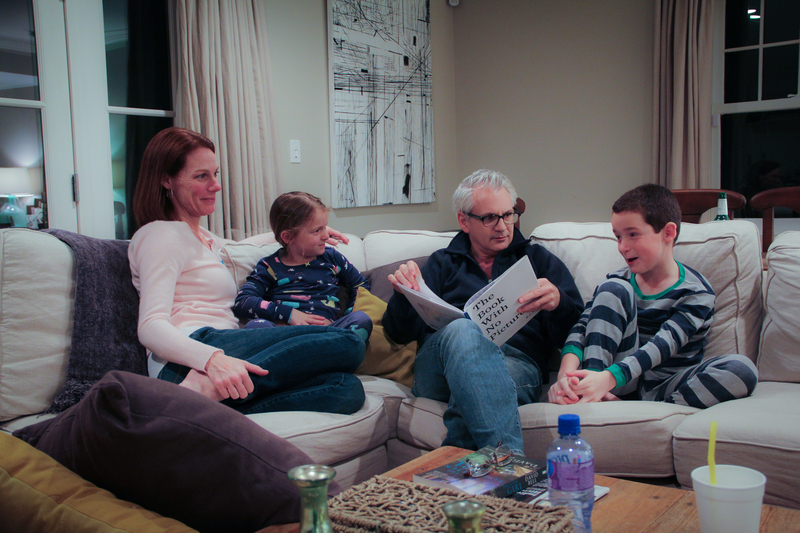 So…we all got comfortable, and we just opened it right up and began reading it. Within minutes, we knew this book was going to be our very first purchase at our new favorite place, The Book Stall!! A few pages in, we were all laughing hysterically at this silly book with no pictures! We were shocked at what a good, fun book it was. We were so used to books with wonderful illustrations, we just couldn’t imagine enjoying a book without pictures! We had totally “judged this book by its cover”! Visiting Aunt B is one of our favorite things to do! And now that we know our favorite bookstore is just down the street, we’ll have to go and see her more often. We love The Book Stall – we could just plop down on the floor and read books whenever we found something we were interested in! As we continued to roam through the aisles and look at books, I glanced back at my kids, and noticed the stacks of books they were both carrying around with them! I knew then that this was going to be an expensive visit. It didn’t take long for the lady working in the store to offer us a little basket. And when she checked back in with us after a few minutes, she offered to place our full basket up at the register and bring us an empty basket! Oh my… But…it’s books! How can you say no to buying books?? I can’t!! Leave it to this one to always be drawn to the expensive hard back books. Lucky for him, I totally understand! No matter how many times we read The Book with No Pictures, the kids laughed out loud each time! 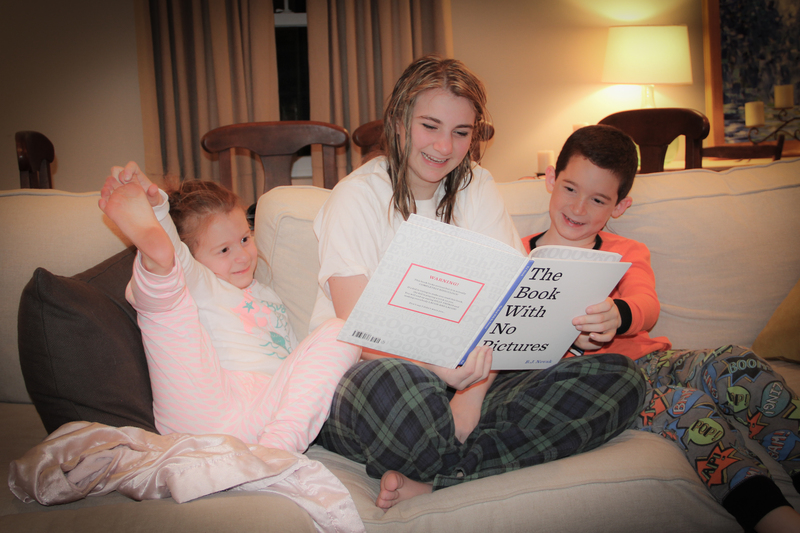 They convinced Uncle Elliott to read it to them again when he got home that night! And for those of you who love to sip on coffee while you’re browsing through a bookstore, worry not! Because attached to The Book Stall is Peet’s Coffee and Tea! Now I’m not a coffee drinker, but just having that little coffee shop attached was wonderful – it just made the store even more special.